Stir into hot water and serve. 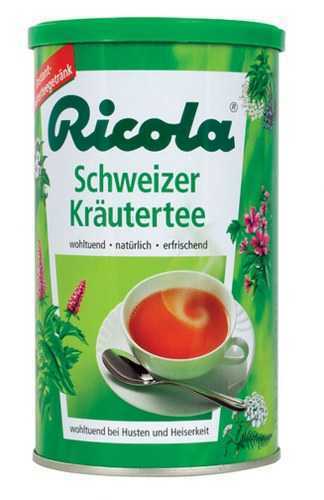 Authentic Ricola caffeine free instant tea. Delicious and healthy winter beverage. 7 oz. (200 gm) size. Service Area: New Glarus, Beloit, Madison, Janesville, Rockford, Sun Prairie, Loves Park, Monroe, Platteville, Waunakee, Verona and surrounding communities.